Xeoma customers frequently ask how to choose surveillance camera. 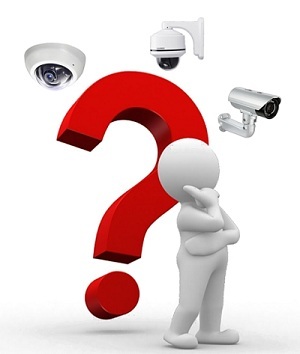 Let’s identify what are the types of security cameras according to your needs. Ask yourself where do you need to place your security cameras. There are two main situations: indoor and outdoor. You may think that you need indoor cameras only to detect burglars. However, that’s not true. You can use it for baby or your nanny monitoring. With such surveillance cameras you will be informed how are your elderly family members doing. Keep an eye on them when you are in another room or in a garden. Were you ever scared with this creepy noise from downstairs? Yes, you were. Now you can check the cameras and identify from where this noise is coming. Surprised? “It’s ok, we understand” you can say to me, “tell us how to choose security camera”. Ok! You know that there is a wide range of security cameras and every camera serves a different purpose. We can define build in to your laptop cameras, simple usb cameras, outdoor, ptz, fisheye, night vision cameras and etc. For indoor video surveillance we can recommend even your laptop camera. It doesn’t change the angle, however it records the video! Need more? Have a look at PTZ cameras. These security cameras can change direction, zoom in and out and trace the moving object. You can control it remotely and watch your room from one angle to another. It can save your money, only one camera per room. For example if you use simple IP camera we recommend to put 2 cameras in a room to have a good overview. Fisheye cameras can be very helpful, nevertheless, they must be put in a center of the room and may ruin your interior design. The choice is yours. Outdoor cameras help us monitor the front door, we all remember that FedEx situation. Should I say about your car monitoring? I hope it won’t get stolen, but it can be easily scratched by the neighbor-boy. With surveillance cameras you will have an evidence. How to choose security camera in that case. Exterior cameras have night vision option and are weather-proof. They are usually wireless, so they are connected via wi-fi to your security system. We recommend external cameras to be mount at a 3-4m height to see person better, but at the same time, it is enough not to reach them. You can also install fake cameras, they can scare potential burglars. They’re cheap in comparison with real cameras, however, fake cameras will not give that peace of mind as a working camera.